When we had the opportunity to work with one of Maine’s iconic brands, Governor’s Restaurants, we were thrilled! We worked with graphic designer Jill Fiore to put together a brand new web experience that works beautifully for both mobile and desktop users. 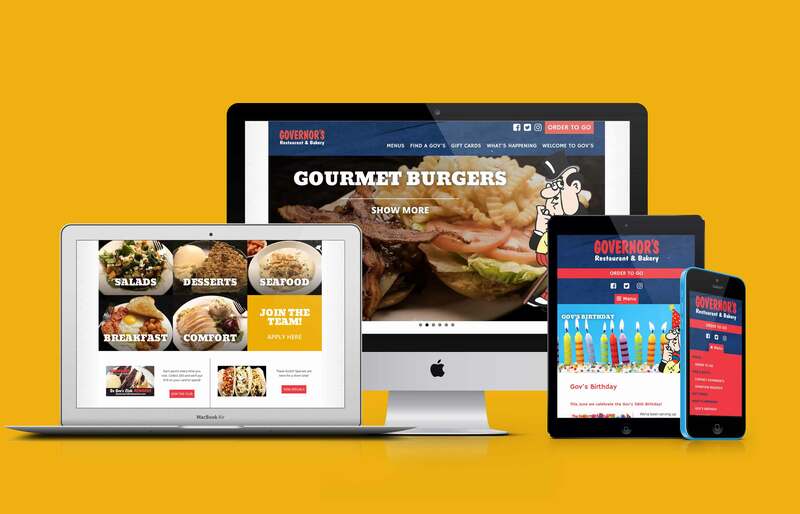 Governor’s goals included space to feature large images, a connection to their online ordering system, online purchase of gift cards, and build forms for contact, online requests for charitable donations, and for employment applications. 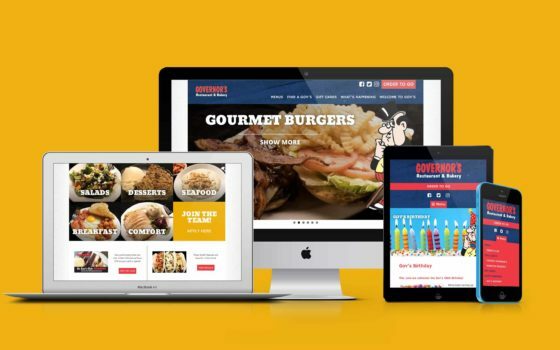 Because each store has its unique events and specials, each of the Governor’s locations has a specially designed page for its featured content, so diners can easily see what’s happening at their favorite Gov’s. These pages also include hours of operation, address and contact information, and a location map.